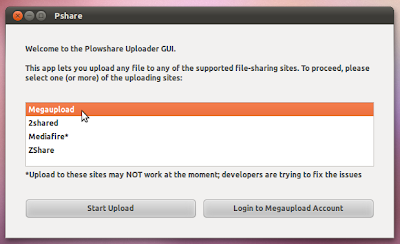 Nautilus Multi Uploader is a frontend for Plowshare that allows you to upload files to file hosting websites like Megaupload, Mediafire, 2shared and ZShare with in few clicks from Nautilus. We covered Plowshare in our earlier post with a list of all commands for uploading files from terminal. Now you can quickly upload files from GUI without any need to execute commands. Note: The file name must NOT have any spaces. Otherwise the upload process will fail. 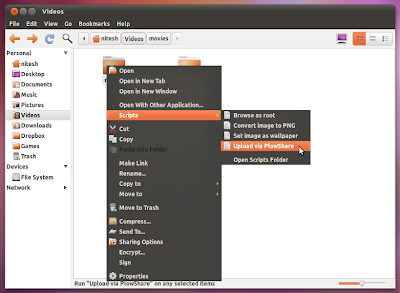 Nautilus Multi Uploader uses an older version of Plowshare. You can download the latest version from here. 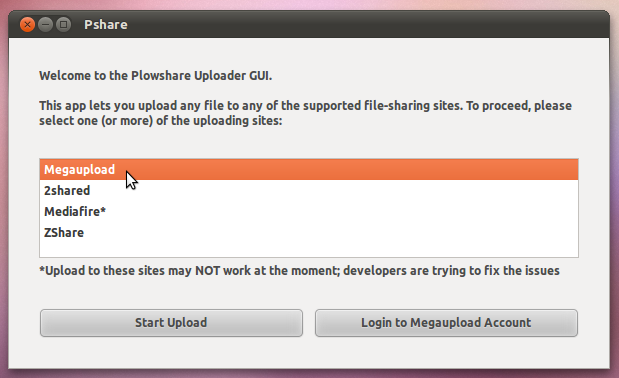 If you want to use Plowshare from command line, read our post on Plowshare from here or Plowshare Wiki. Many thanks to Rishav Thakker for the script.